As we move further and further into summer, many people opt to take their workouts outdoors to really get their sweat on. But while working out outside in the hot, hot heat can certainly feel tougher than exercising in an air-conditioned environment, what does the science say? Are hotter workouts actually more effective? Here, we break down everything you need to know about working out in hot weather before you head outside for a steamy sweat session. It seems like there are a lot of options for hot workouts these days, from hot yoga to even hot spinning (god help us). As anyone who’s attended a Bikram session or gone on a long run at noon in the middle of July knows, adding heat to a workout can make it feel much more intense. Suddenly, what was once relatively easy for your body in a cool climate becomes impossible. If you’ve ever gone hiking in the height of summer, just putting one foot in front of the other can be supremely difficult. But what exactly does this mean in terms of how your body actually burns fat and calories? At first blush, it might seem that working out in the heat leads to greater weight loss. If you’ve ever weighed yourself before and after a strenuous, hot workout, you may notice that the numbers on the scale have shifted dramatically. This leads some people to thinking that exercising in extreme heat is a good way to lose weight. Unfortunately, nearly all that extra weight is likely to be water, not fat. Though some sources suggest that working out in the heat may be able to help you burn more calories — because your body uses more energy trying to keep itself cool — the difference will probably be negligible at best, and the overwhelming majority of the weight loss you experience from working out in the heat simply comes from water loss. Even if exercising in the heat doesn’t do much to help you lose fat per say, there are some other benefits to working out in extreme temperatures. There’s those who insist on the benefits of sweating as detox, and they’re not exactly wrong; the skin is a part of the excretory system, and performs an important role in ridding the body of toxins. One of the many health benefits of sweating is that you’re just helping your body get rid of junk. Small amounts of toxins like lead, arsenic, mercury and cadmium are found in sweat. The more you sweat these toxins out, the less you’ll have in your body. This sort of detoxification process, especially when sustained every day through exercise, can help you to stay healthier and live longer. However, others point out that sweating isn’t nearly as important as the job that your kidneys and liver do, and that the benefits of sweating-as-detoxing have yet to be proven. And of course, the more you sweat, the more dehydrated you may become, so make sure you drink tons of water. Another potential benefit that is sometimes mentioned by proponents of hot workouts is an increase in flexibility. Hot yoga aficionados insist that heat allows them to sink deeper into their poses and makes their muscles more pliable. This can be a double-edged sword, however, as it’s easier to overdo it and overstretch in the heat. If you choose to work out in the heat, make sure that you’re careful and don’t push yourself past your limits. There have been some studies suggesting that doing hot workouts can increase your performance in both hot and cold environments. A study done at the University of Oregon and published in The Journal of Applied Physiology tested the ability of competitive bike riders to perform in a 55-degree room. One group of bikers trained in a cool setting and the other trained in the heat. At the end, both groups were tested in a 55 degree room. The group that trained in the heat experienced significant improvement while the group that trained in the cool did not. However, it is important to be aware that this study dealt with highly trained and competitive athletes, and its findings may not be 100 per cent applicable to more casual exercisers. Finally, exercising in the heat may be able to help build mental toughness. The ability to keep going in the heat may be able to give you a competitive edge when the chips are down. However — none of that is going to be very helpful if you give yourself heat stroke first. 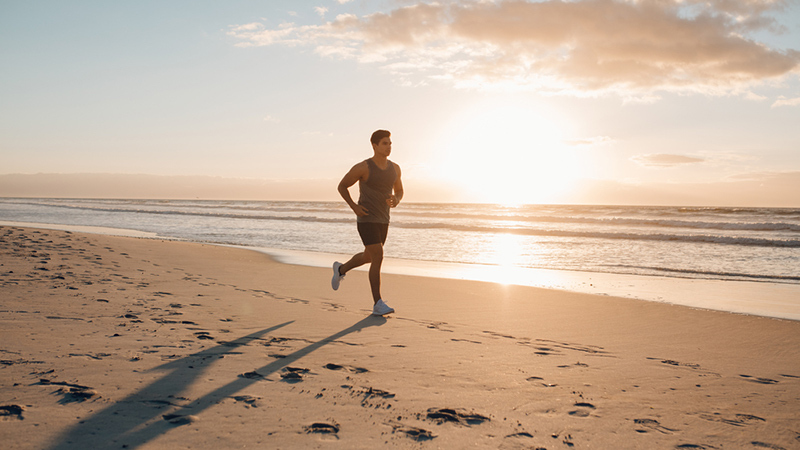 Regardless of whether or not you burn more calories, if you decide to work out in the heat, make sure you are paying close attention to your body and how you’re feeling. Don’t push yourself harder than your body can handle, and (we can’t stress this enough), drink lots and lots of water. You’re at a much greater risk of dehydration when exercising in hot weather than in cooler temperatures. Watch for symptoms like dizziness, confusion, cramps, nausea and weakness. If you experience these, it’s time to get out of the heat, grab some water and cool off.